The Mobile Dark Vault is on the road again, so join UNCLE PETE and his designated driver rat Max as they hit the blacktop this week in THE DARK VAULT OF PUBLIC DOMAIN with one of our favorite rubber burning, speed limit ignoring features – Hot Rod Girl! Street racing is runnin’ wild, so Detective Ben Merrill (Chuck Connors) and local top drivers and mechanic, Jeff Northrup (John Smith) set up a drag strip for hot rodders to hot rod in a little safer setting (at least when they wreck, it won’t be on somebody’s front lawn). Everything is real George and the top dragger just happens to be Lisa Vernon (Lori Nelson) – Jeff’s girl – in her T-Bird! But when Jeff’s younger brother gets into a street race and killed to boot (on somebody’s front lawn), Jeff quits the scene for good. A JD by the name of Bronc shows up in his high-powered mill and starts bugging Lisa. Jeff gets sucked into a street race, a kid on a bike gets croaked and the evidence points to Jeff. It’s up to Lisa, Detective Ben, and the gang to help Jeff straighten out this mess and give Bronc a straightening out too. 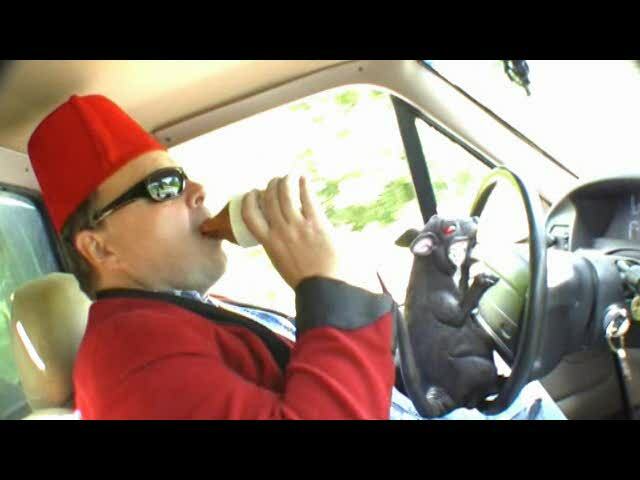 UNCLE PETE and Max and Stone Dog are cruising in Mobile Vault One on a road trip up to Lake Dark Vault. 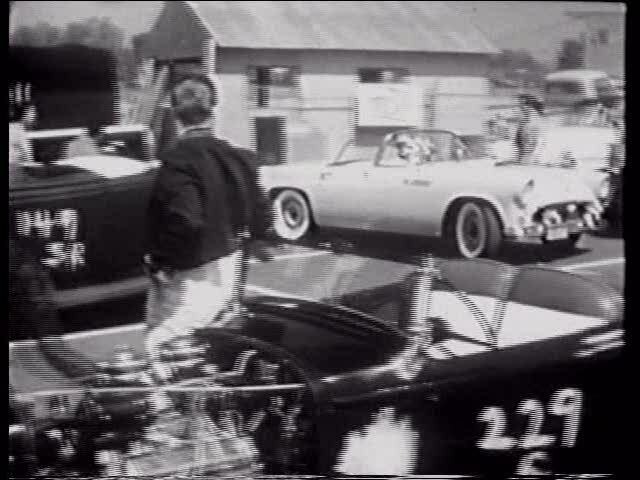 While UNCLE PETE runs into (and over) a plethora of interesting characters on the way, he also finds time to bring you music (Jody Miller singing Things), a spot about the brand new 1956 Ford Thunderbird, a James Dean safe driving public service announcement, and a Chevrolet sponsored short starring Gail Storm entitled How To Go Places . It’s Hot Roddin, Road Trippin’ Summertime fun this week with Hot Rod Girl, Saturday, July 9, 2016 from 10PM to midnight on channel 4 in Binghamton (channel 17 – Montrose/Sayre, channel 99 – Elmira/Corning/Hornell and Utica/Rome) with replays at midnight and 2AM. Plus, it’s our new remastered version with enhanced sound and picture!. So join UNCLE PETE (and bring your oboe) for the next DARK VAULT OF PUBLIC DOMAIN! ~ by UNCLE PETE on July 7, 2016.